NOWSHERA - Khyber Pakhtunkhwa (KP) Flood Cell said River Kabul was in medium flood at Nowshera district, discharging 126,000 cusecs of water. According to the flood cell report, Kabul River was in medium flood at Warsak too, with water flow there being measured at 74,600 cusecs. According to sources, floodwater has entered Sheikhabad, Hassan Khail, Masal Road, Muhalla Shah Hussaini, Shaheedabad, Shala Khel and Khaishgi areas near Nowshera. Thousands of acres of agriculture land were inundated by floodwater while residents started to move to safer places. River Panjkora was also reported to be in medium flood at Dir where water discharge was 24,301 cusecs. Meanwhile, Water levels at Mangla and Tarbela dams are steadily increasing, with the level in both dams rising to two feet and six feet respectively, within a 24-hour time. Water inflow in Tarbela Dam was recorded at 2, 78,900 cusecs, with an outflow of 1, 40,000 cusecs; while water level in the dam is 1,487 feet, which is 53 feet less than the maximum level of 1,550, with currently usable reservoirs of 33, 35,000 acre feet. Mangla Dam water level stood at 1,166 feet, with an inflow recorded at 17,810 cusecs and an outflow of 15,000 cusecs, with usable water reservoirs of 26, 64,000 acre feet. Total usable water reservoir at both dams stands at 5,900,099 acre feet. Owing to the situation, KP government released funds to deputy commissioners of flood-affected districts to meet urgent needs of the people. According to reports‚ district administrations of concerned areas have been put on high alert to assist and rehabilitate flood victims. If needed‚ they would be shifted to safer places. Monitoring committees headed by ministers will be constituted for rehabilitation of flood victims. Meanwhile‚ a provincial flood control room has been constituted which is in constant contact with the provincial disaster management authority‚ district administrations and MET office. KP Minister for Information and Health Shaukat Ali Yousafzai has directed the disaster management authority and district administrations to speed up the overall relief and recovery plan for the rehabilitation of victims in the flood-affected areas of the province. "A detailed survey should be carried out to assess damages to lives and property," he added. Directives to this effect were issued on Sunday, Yousafzai said, adding that various teams had been engaged since Friday, when he visited the affected areas. Reports indicated that the affected areas are fast coming back to normalcy and the water level is fast coming down. 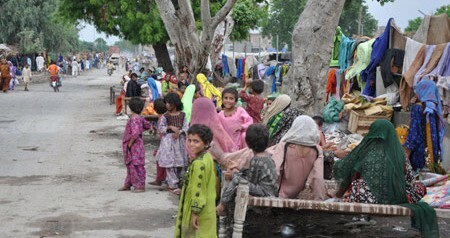 Shaukat said, “We are not oblivious of our responsibilities and we would not rest until the affected are rehabilitated". He said resources had been released to deputy commissioners for the relief and recovery plan. "It's the people who mandated Pakistan Tehreek-e-Insaf (PTI) with a clear agenda for change and therefore, we would not leave the hapless alone and the resources of national exchequer would be spent on them". He said in light of survey reports the government would spare no moment to resolve problems of affected people and will undertake the rehabilitation process throughout the province.